Our guide will pick you up in the morning from the hotel in Sharm El sheikh to relish Jeep safari adventure, Blue Hole snorkeling experience, camel back ride and go shopping in Dahab. If you have finished the sightseeing opportunities and the rest of your holiday time is limited, this exceptional day is what your really need ! Start the day with a 2 hours jeep expedition across the desert of Sinai, along the way you need to have your eyes opened to wander the local wildlife, Bedouin villages, camels and extraordinary rock formations and sand dunes. 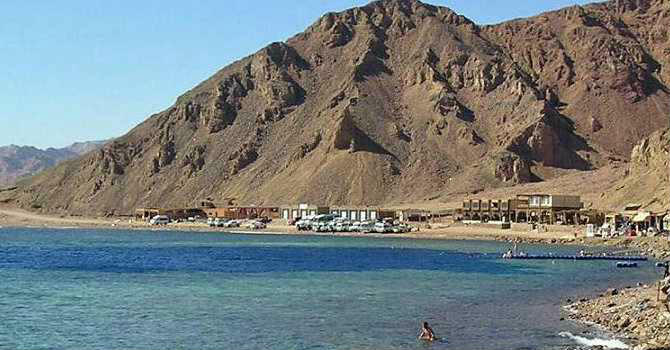 Arrive to the Blue Hole to uncover the reef gardens in Egypt best dive spot with 45 minutes of guided snorkeling experience, then dry off with camel back ride to the near Bedouin tent to savor the lunch buffet. Afternoon transfer to the Bedouin village of Dahab to explore wide selection of souvenirs at cheaper prices than in Sharm el Sheikh then drive back to Sharm El Sheikh Hotel.